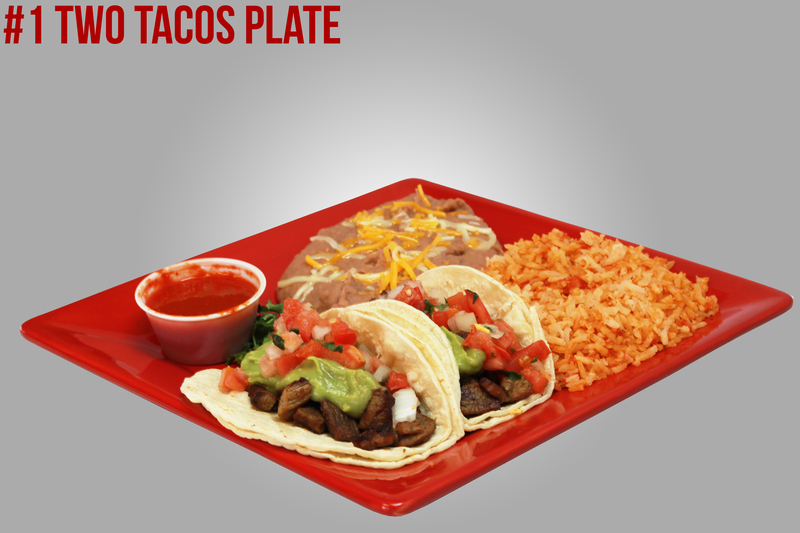 Combine two of your favorite tacos, Carne Asada, Shredded Beef, or Chicken. Served with our homemade Pinto Beans and Rice. 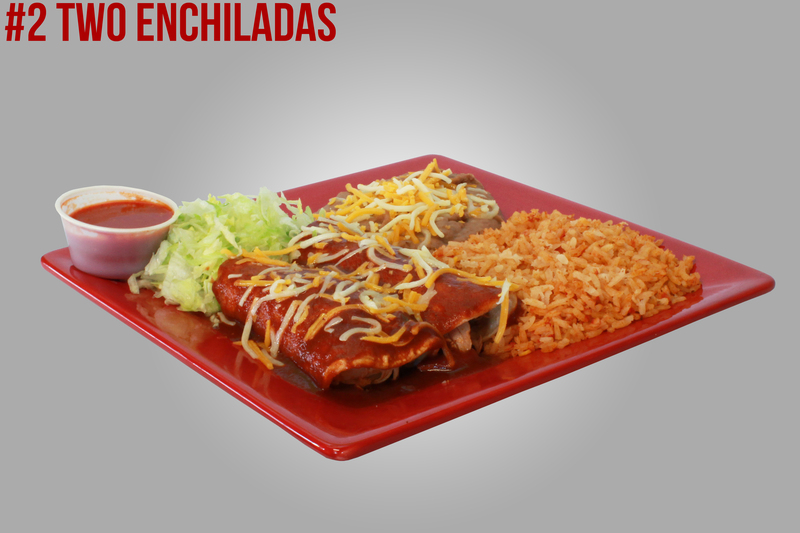 Choose two of your favorite enchiladas, Cheese, Shredded Beef, or Chicken. Served with our homemade Pinto Beans and Rice. 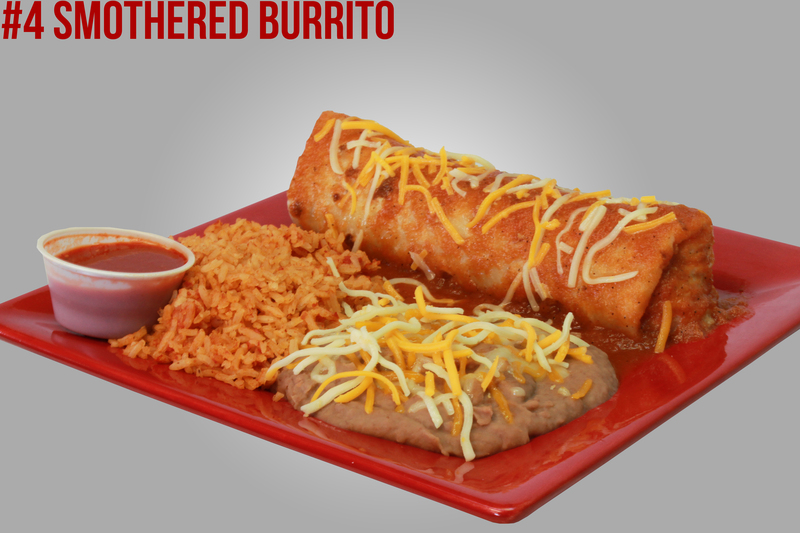 Choose your favorite burritos, Shredded Beef, Chicken, Carne Asada Steak or Grilled Chicken. Served with our homemade Pinto Beans and Rice. 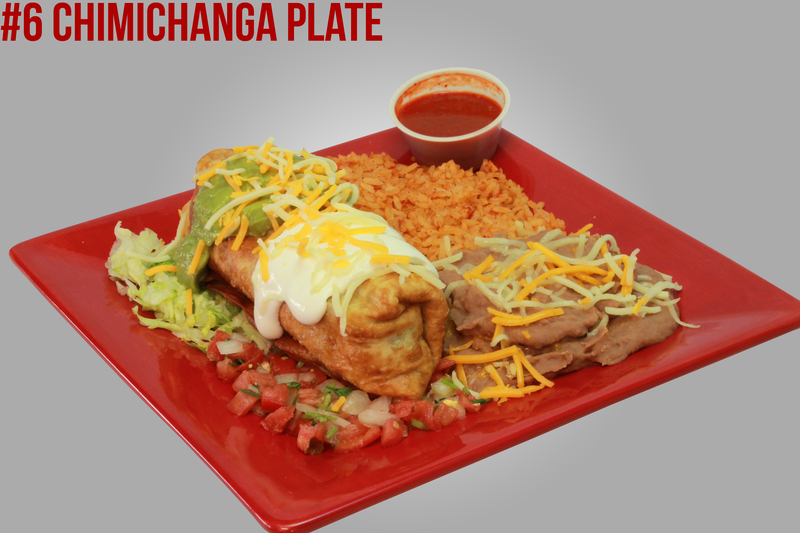 Your choice of a beef or chicken burrito, smothered in our enchilada sauce. Served with our homemade Pinto Beans and Rice. 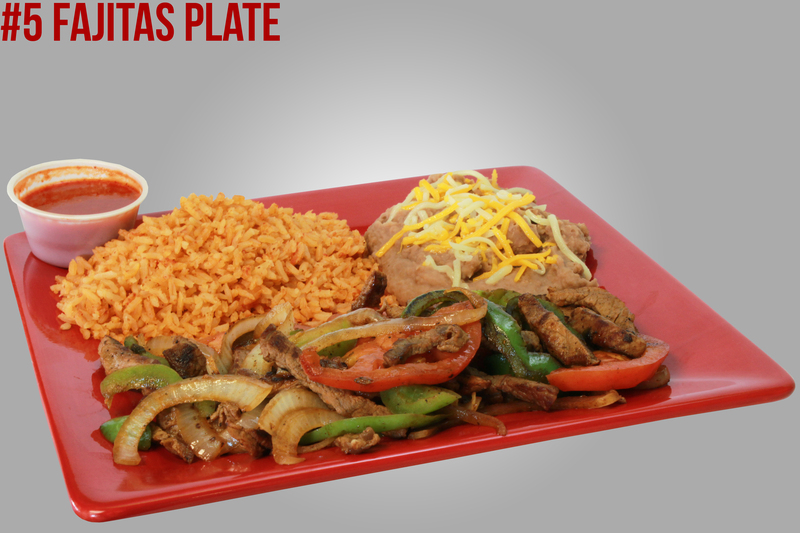 Tender sliced Beef, Chicken, or Surf & Turf Fajitas, cooked with bell peppers, onions and tomatoes. Served with our homemade Pinto Beans, Rice, Guacamole, and a Flour Tortilla. 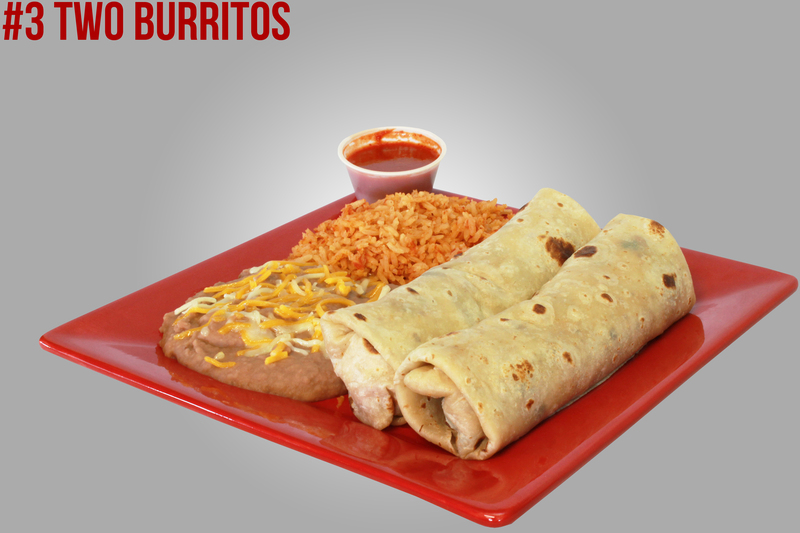 A flour tortilla deep-fried and filled with Shredded Beef or Chicken and pinto beans. Topped with Guacamole, Sour Cream, Pico de Gallo, and Lettuce. Served with our homemade Pinto Beans & Rice. 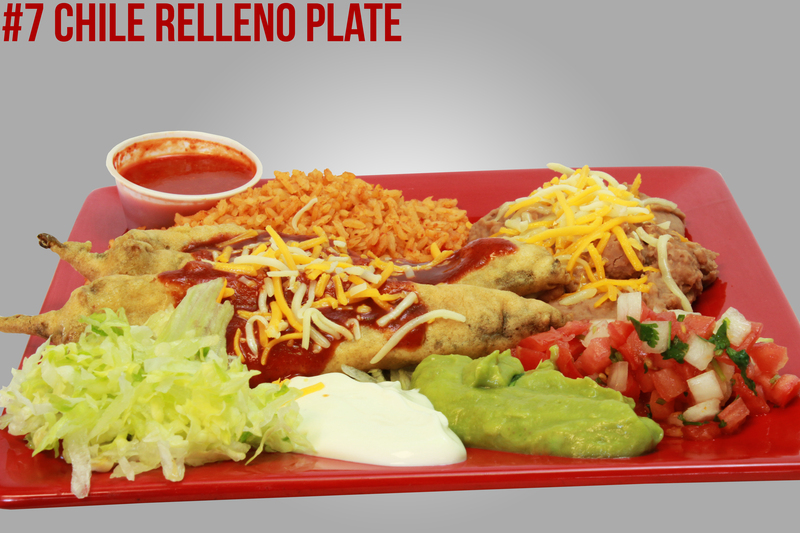 Two battered and fried Anaheim Peppers, stuffed with Monterrey Jack Cheese; served with our homemade Pinto Beans & Rice, and garnished with Sour Cream, Pico de Gallo, Guacamole, and Lettuce; served with a Flour Tortilla. 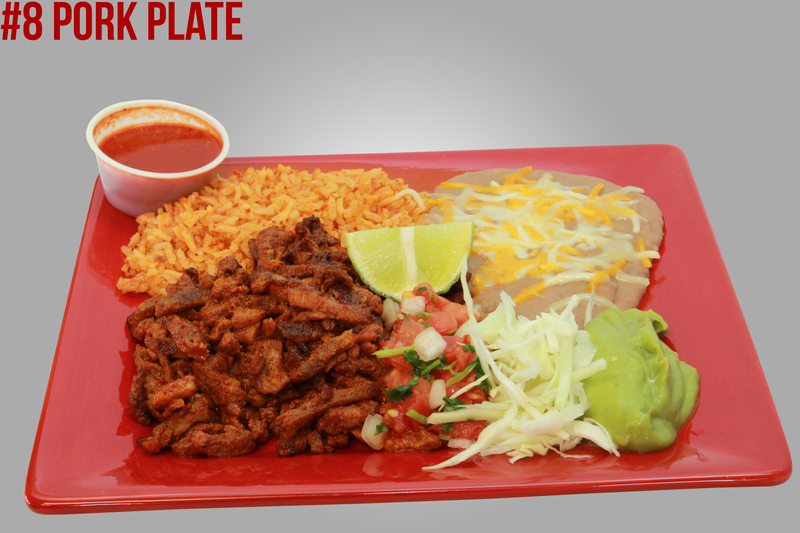 Tender pork marinated in red chile sauce, green sauce, or Shredded. Garnished with Pico de Gallo, Cabbage, Guacamole, and lime wedge. 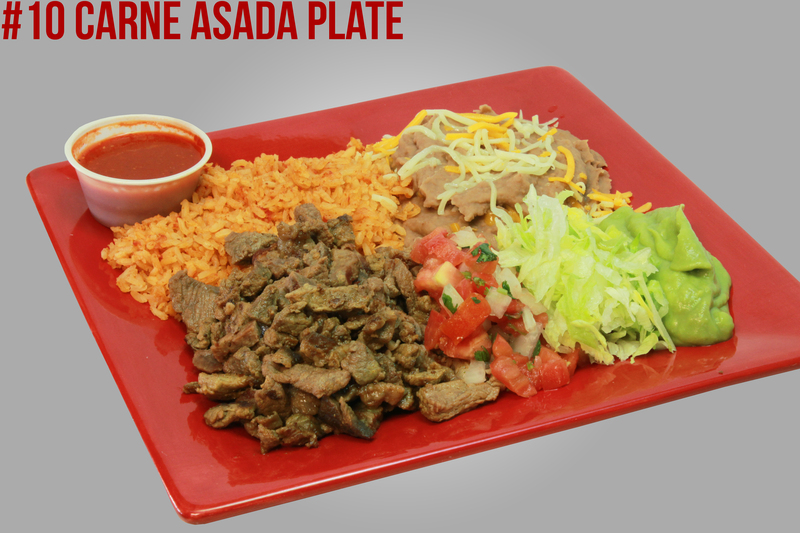 Served with our homemade Pinto Beans & Rice, and Flour Tortilla. 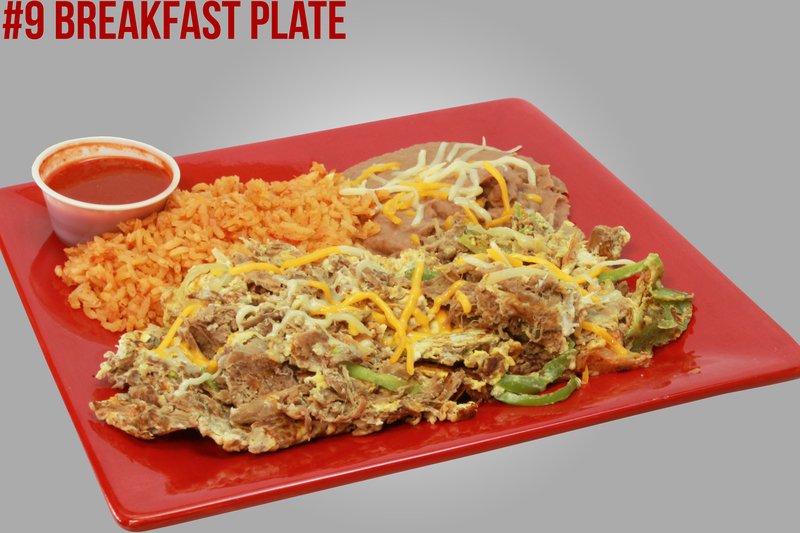 Your Choice of Chorizo (Mexican Sausage) or Machaca (Shredded Beef, Onions, Bell Peppers, Tomatoes, and Eggs). 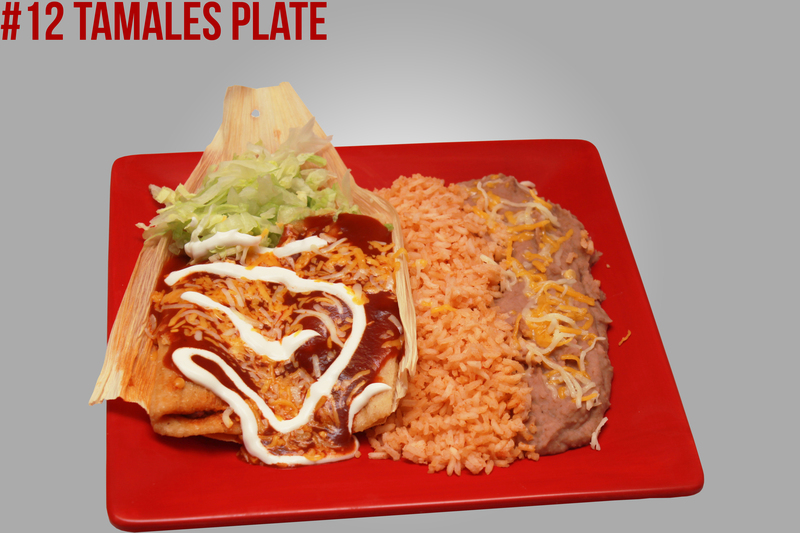 Served with our homemade Pinto Beans & Rice, and garnished with shredded cheese. Diced Choice Steak, thrown on the grill at the moment you order! Garnished with Pico de Gallo, Guacamole, and Lettuce. Served with our homemade Pinto Beans & Rice, and a Flour Tortilla. Four crispy taquitos stuffed with Shredded Beef. 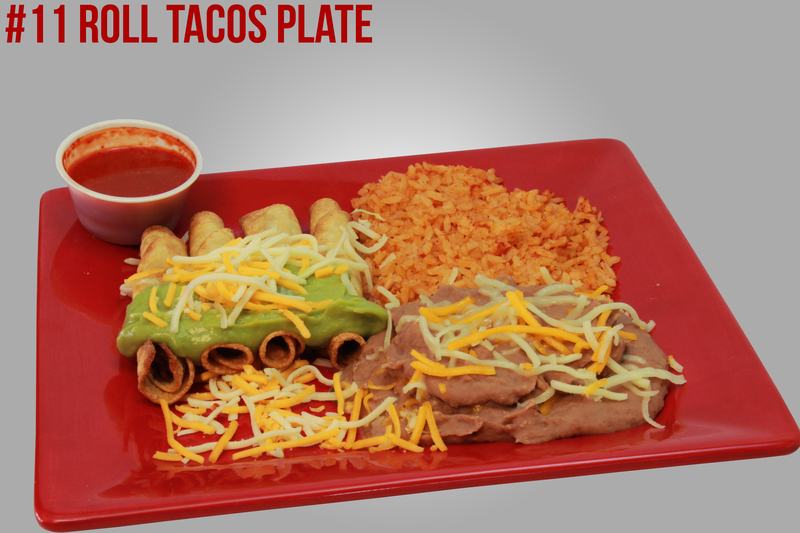 Garnished with Guacamole and shredded cheese, and served with our homemade Pinto Beans & Rice. Made in House by Maria! Stuffed with shredded pork, marinated in a red sauce, surrounded by corn masa wrapped in a corn husk and steamed. Garnished with Sour Cream, Shredded Cheese, and Lettuce. Served with our homemade Pinto Beans & Rice. Locally made Telera Bun, with your choice of Protein, and served with French Fries. 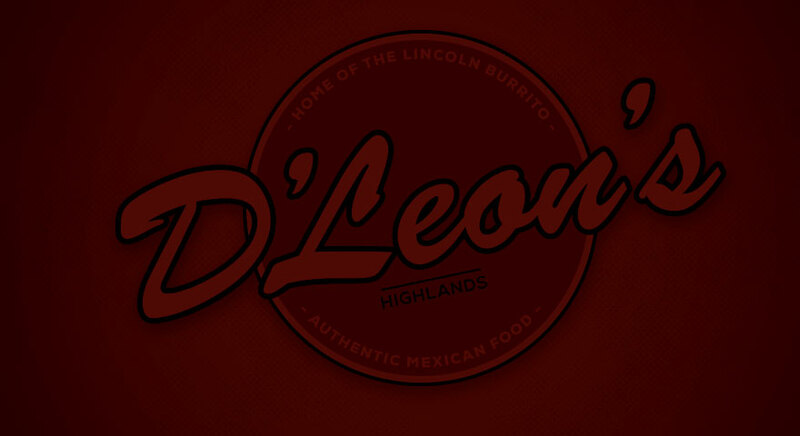 D'Leons Highlands owns and operates this web site. All menu items and prices pertain to this location only.